Now that we are well into the chocolate season, a time of monumental overindulgence (fudge nudges all other food aside as the base of my personal food pyramid), I try to balance sweet excesses by eating healthy dinners. However, the season is also a grey and rainy one and that chill requires a balance of its own – and that’s warm, comfort food. 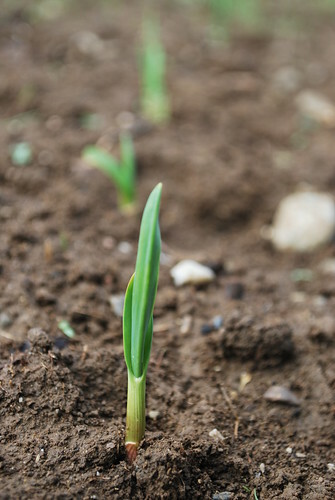 Fortunately, this is not only the time of year for those chilly days, but also for the greens that grow in cool temperatures: chards, beet greens, collard greens and kale. 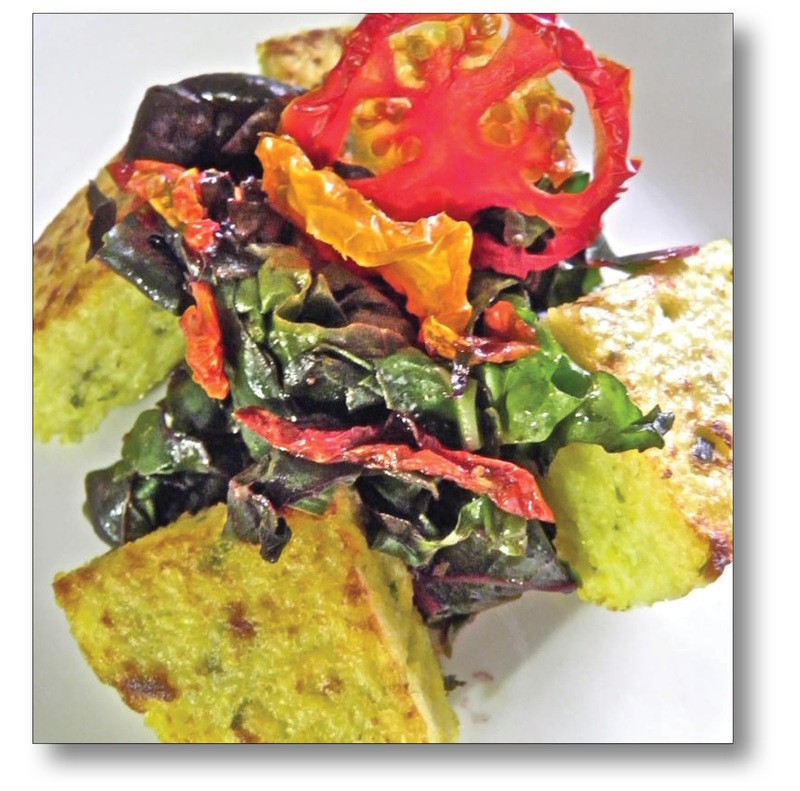 And nothing beats greens and polenta as comfort food. I’ve bought pre-made polenta; just slice it up and stick it under the broiler. I’d rather make my own, however, and add my own seasonings. 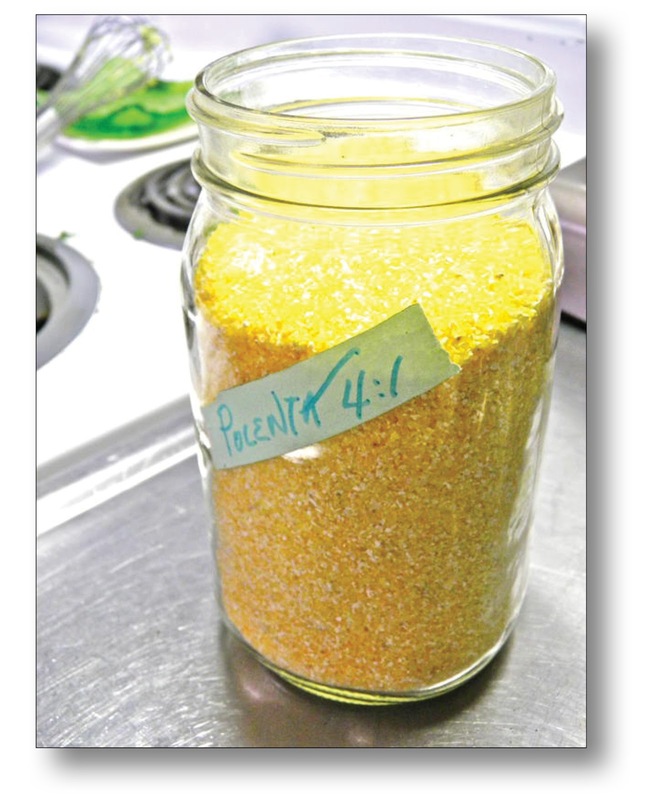 The recipe is simple – Four cups of liquid (water, broth, and/or milk) to one cup of (coarsely ground) cornmeal. I cook the polenta on low, stirring every so often, adding a bit more water to the mix if seems too thick. I have found that 15 minutes of forgetfulness gets me a lumpy mess, but 30-45 minutes of intermittent spoon wrangling provides a soft, creamy polenta. I sometimes stir a knob of butter into the polenta at the finish, or shredded hard cheese, sautéed garlic greens, herbs or truffle oil. I spread the polenta into a pan so that it’s about an inch thick. When it has cooled, I cut the set polenta into pieces then broil it until the top is brown and crispy. The perfect counterpoint to sweet, creamy polenta is slightly bitter greens. Sadly, my kale is not yet harvest ready. 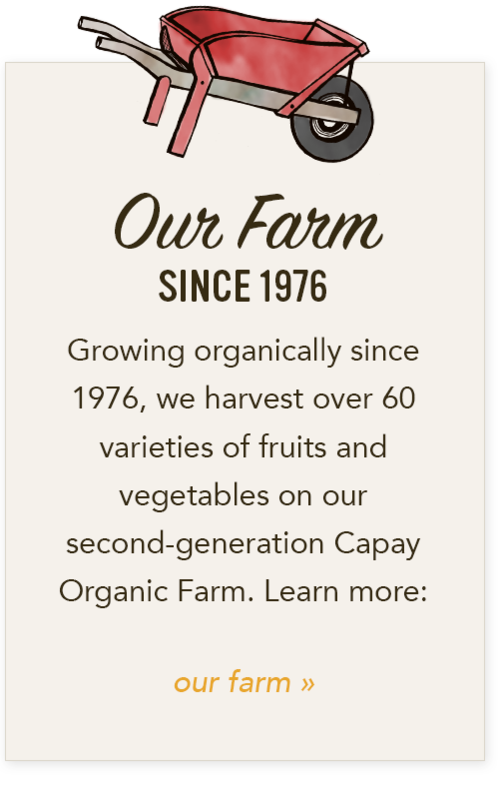 But while my beet roots are only about the size of ping pong balls, there’s lots of delicious beet greens to be had at the farm as well as lots of chard. I wash my greens very carefully (I can tell you nothing ruins a good meal like garden grit, or the surprise meeting of a Quarter-Acre Farm snail on one’s fork), then cut out the ribs, chop them and set them aside. I roll the rest of the chard, then coarsely chiffonade the leaves. In a large fry pan (I use a big pan because the greens diminish in volume remarkably during the cooking process), I heat a couple of tablespoons olive oil, and sauté a teaspoon of pepper flakes, the chard ribs, and ¼ cup of sun dried tomato batons (I actually dried the tomatoes in a dehydrator, but dehydrator tomatoes don’t sound nearly as delicious). From Farm Fresh To You — A big thank you to award-winning author Spring Warren for sharing her wonderful Polenta and Greens dish with us! 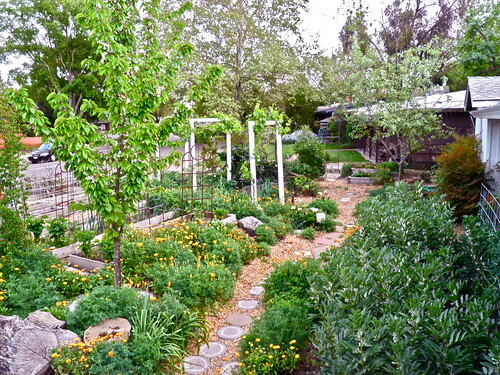 We highly recommend filling your tummy with polenta and greens and then settling in with her equally satisfying book, The Quarter-Acre Farm, a book chocked full of stories, garden information, humor and delectable recipes. 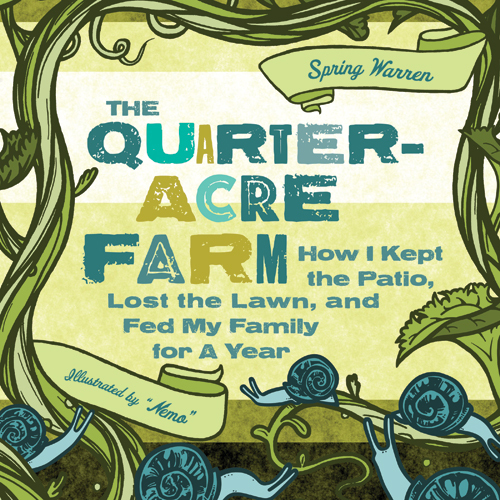 Spring has generously offered two signed copies of The Quarter-Acre Farm to giveaway. Enter to win here by Monday, December 5th! Thank you Spring for sharing your wonderful recipe with us! 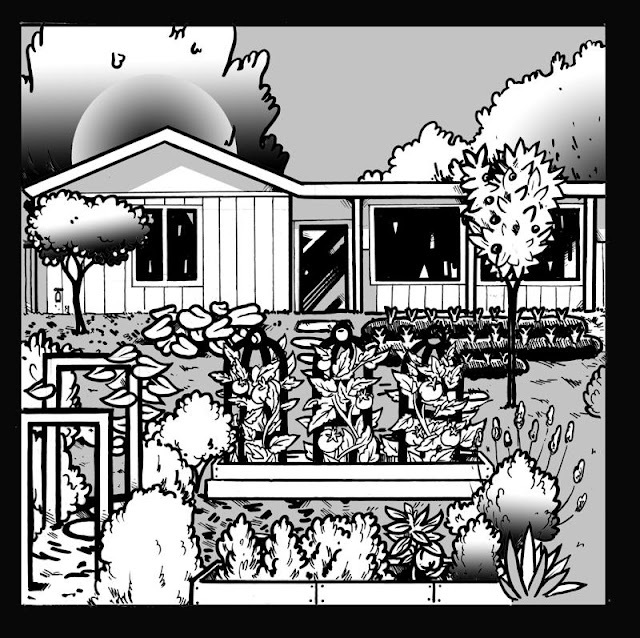 Be sure to check out her book The Quarter Acre Farm! 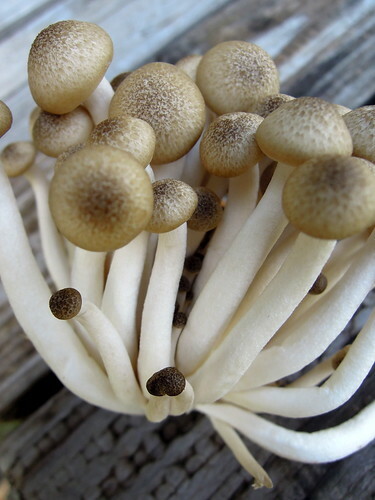 You may find a few new fungi favorites as specialty organic mushrooms arrive in your boxes. 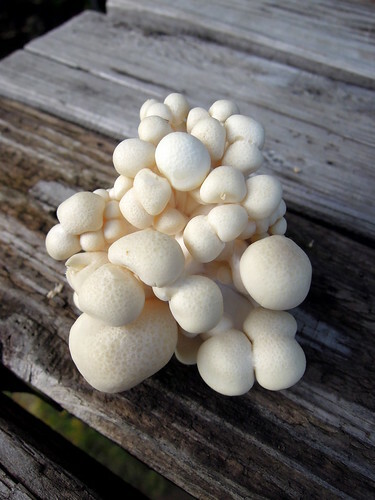 Here are a few mushrooms that go beyond the basic "button." 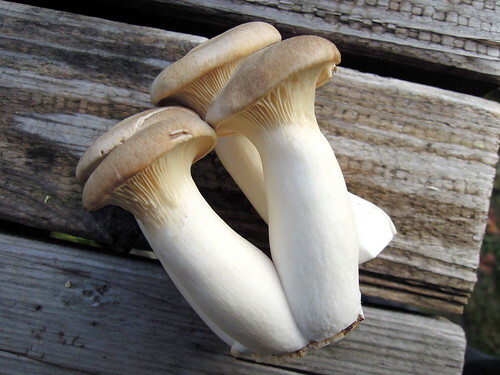 Pearly white with dime-to-quarter-size caps and three-inch stems, these beauties are richly flavorful and a great addition to seafood dishes, sauces and stir-fries. 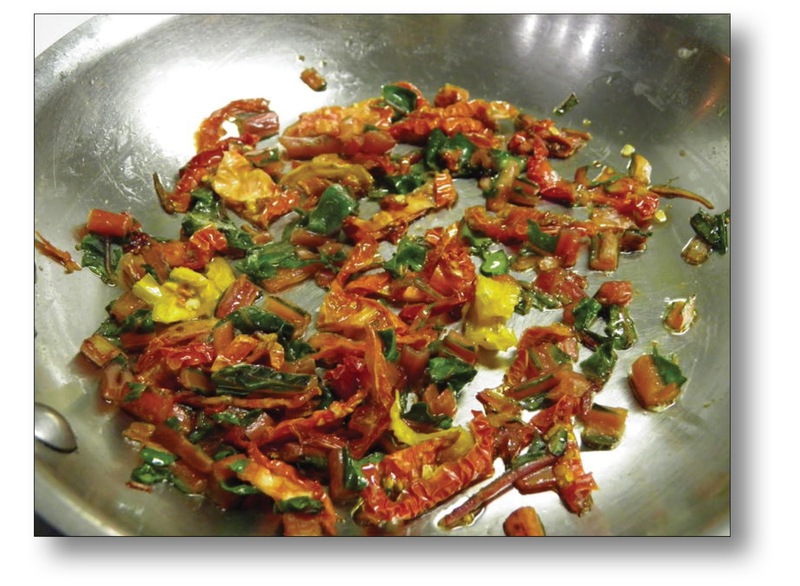 Chefs recommend using the Alba with olive oil, garlic, tomato, red bell pepper, citrus juices and thyme. 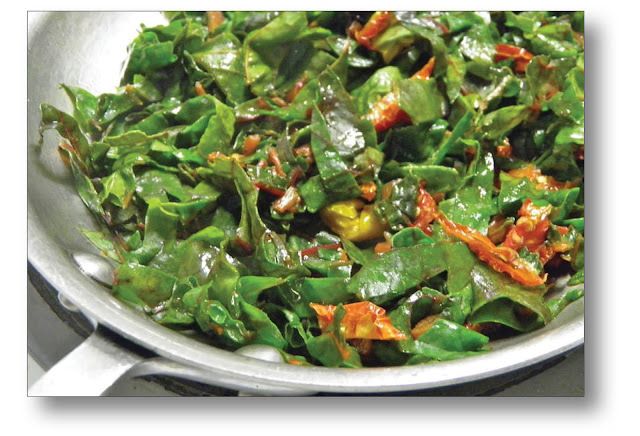 You may also blanch Albas in salted water for two minutes to soften the flavor. Drain and cool, then proceed with chosen recipe. 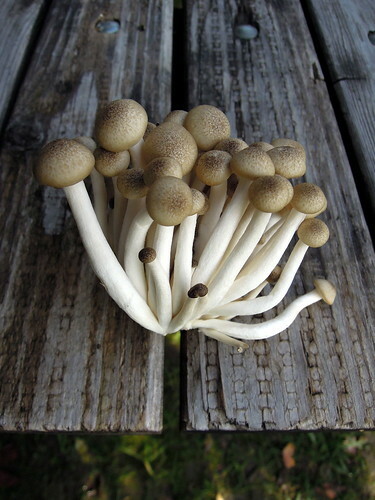 Our mushroom source recommends a hot sauté to then elicit the full flavor of the Alba. 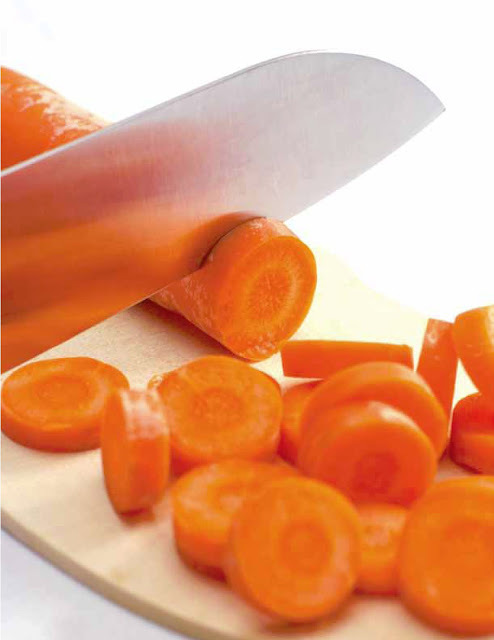 Excellent in salads: cut or tear into strips. Similar in size to the Alba, the Brown Clamshell variety, has a medium brown cap. Like its Alba cousin, it also has a wonderfully rich flavor noted by a mild, appealing shellfish flavor. In addition to seafood, the Brown Clamshell works well in dishes with nuts and herbs. These mushrooms will be a bit firm even after sautéing. 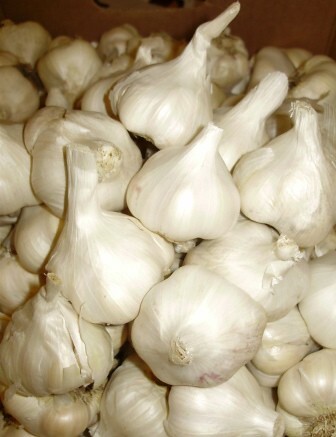 Similar in character to Alba Clamshell, some use a quick blanch to soften the flavor. The Brown Clamshell is a bit more flexible and is easily able to pair with red wine sauces as well as Asian influenced stir fry. Roast to deepen flavors. Grilled veal, almond, cashew, garlic chive, thyme. 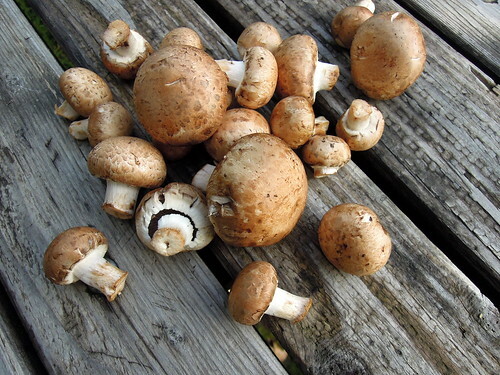 Sometimes called the “baby Portobello,” Criminis are the younger version of the Portobello. 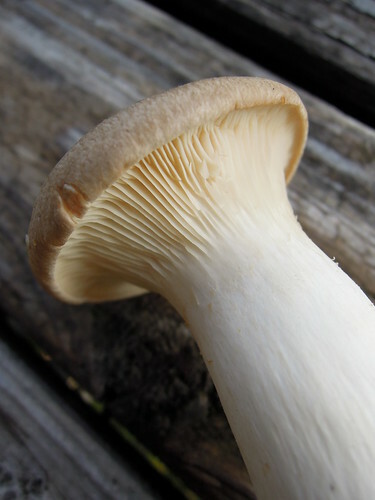 Portobello is the mushroom variety at later maturity. In fact, if you let a Crimini grow only 5 more days, you will get a small Portobello cap. The Crimini has an earthy, meaty texture, and stands up well to baking, roasting and stewing. 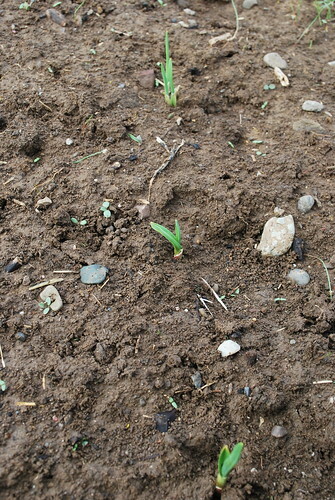 They’re a favorite in Italian dishes, especially those with tomato sauce and beef. 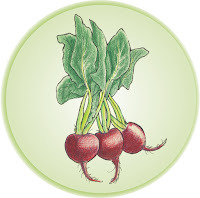 With a sturdy, light brown cap, the Trumpet Royale has a nutty flavor and a great culinary range. 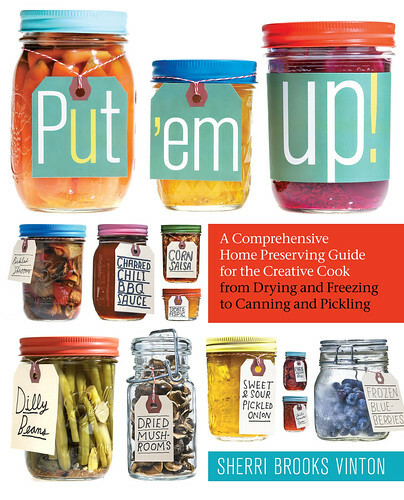 It can be sautéed, grilled, braised, stewed, or broiled. Its stem can also be used, sliced into medallions. 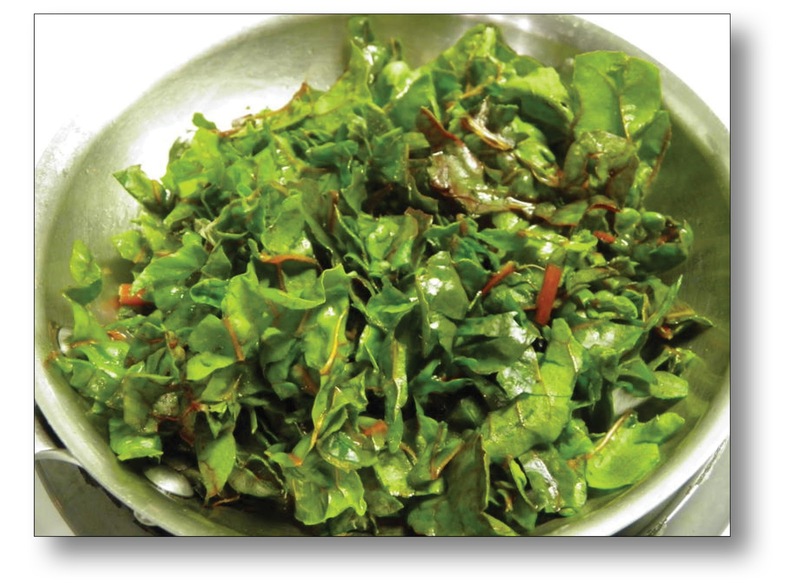 The Trumpet Royale's firm texture allows for grilling or cooking on high heat. 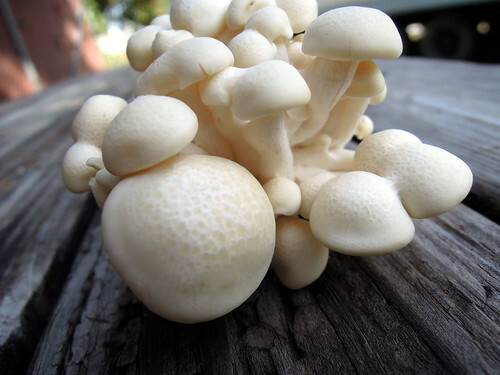 Chefs recommend cooking them in dishes with cream, walnuts, sherry, parmesan, rosemary or balsamic vinegar. 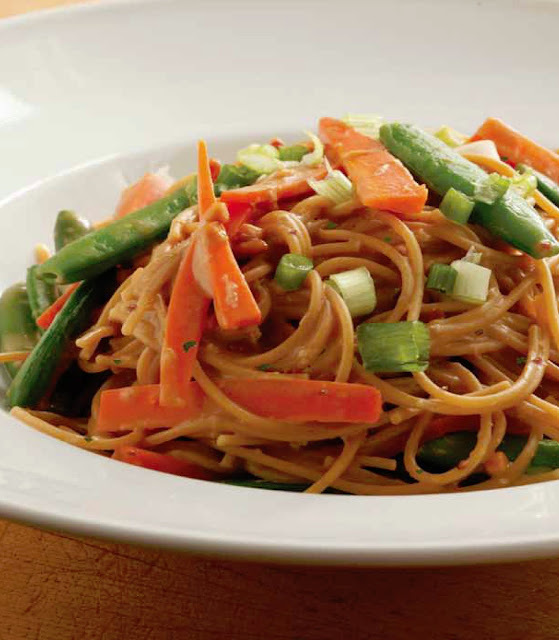 The flavor of fresh, organic mushrooms add "something" to nearly any dish at any time of day. 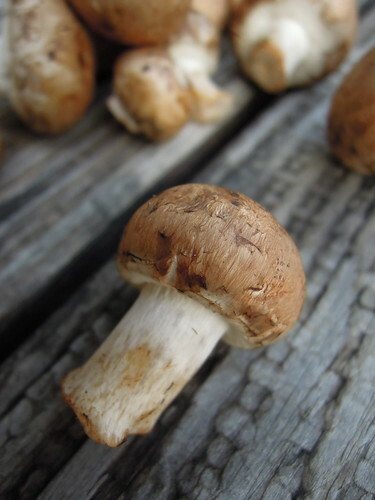 In addition, mushrooms not only provide protein and fiber, but also vitamin B, vitamin D, vitamin K, copper and other minerals. How are you enjoying these tasty morsels? Any recipe links to share? 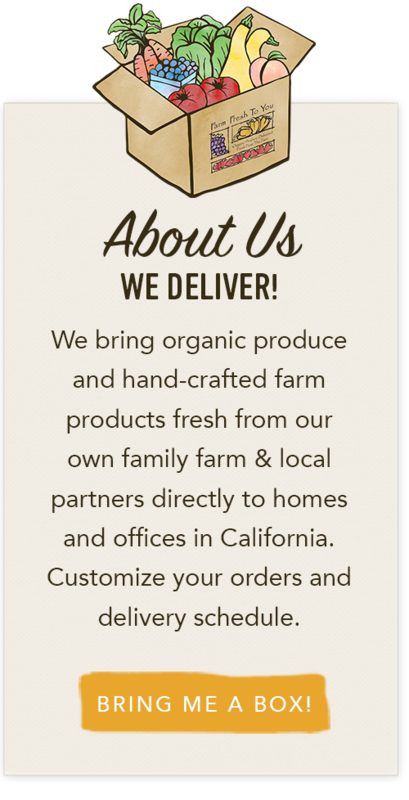 Variety tasting notes provided by Gourmet Mushrooms Inc. with over 30 years experience growing exotic specialty mushrooms at our farm in Sonoma County, California. "The nearly 900 million meals served yearly in California schools today present 900 million opportunities to create positive systemic change. 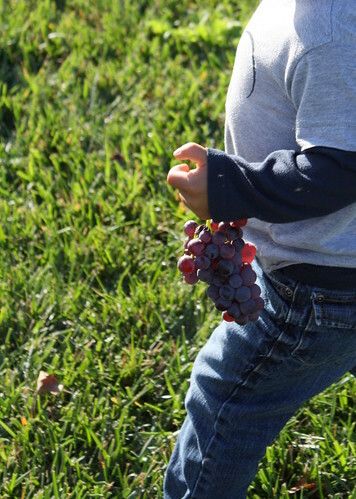 After all, what better way is there to build healthy lifelong eating habits, support student well-being, and promote our economy and environment than by offering delicious, appealing meals that celebrate our agricultural abundance and rich cultures?" Last week, communities across our country used National School Lunch Week (the week beginning the 2nd Sunday in October) to raise awareness about the importance of school meals in children’s health and our food system. As part of this, we were able to visit with award-winning cookbook authors, Georgeanne Brennan and Ann M. Evans, who have co-written a new cookbook and menu planning guide for schools and families, in partnership with The Center for Ecoliteracy and TomKat Charitable Trust, Cooking with California Food in K-12 Schools. Here's our conversation with Ann and Georgeanne about school lunch programs, how parents can learn more about their schools' programs and how we can incorporate more locally grown foods into school lunches. 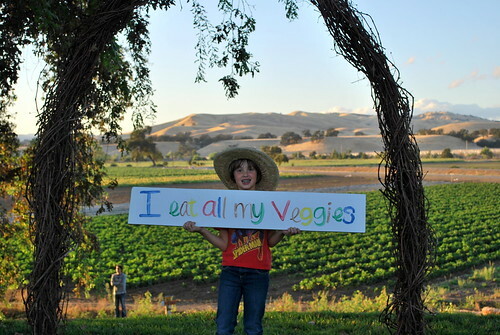 What is your vision when it comes to school lunches in California? ANN - I’d like to see lunch as part of the school day – with a focus on flavor and agricultural literacy as well as nutrition. 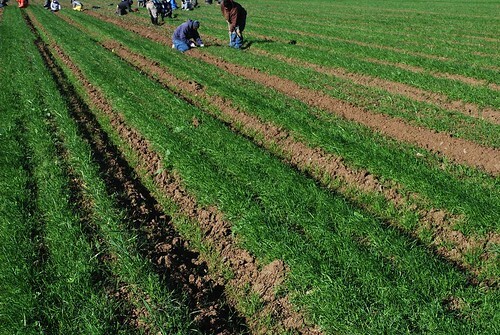 I’d like to have CA School Lunch be a part of a statewide green economic development program that raises up the standards for those working in the kitchen and of those in the fields and processing plants. Ideally, teachers and students would eat together, just as they are together in the classroom for other kinds of learning, at least at the elementary level. GEORGEANNE - I’d love to see students having more than a few minutes and sit down and enjoy a home-style, cooked-from-scratch meal, served on real china with real utensils, with pitchers of water on the table. Busy parents often wonder what they should know about their children’s school lunch programs. What are some of the first steps a parent can take in finding out more about their program? What questions should they be asking? ANN - I suggest they go to their school district’s website and look up the student nutrition services program and become acquainted with the menu and the philosophy; next, eat school lunch with your child – letting the school know in advance in case there are protocols to be followed; thirdly – seeing if the district has a Wellness Committee or Nutrition Committee – and signing up to help with it. An email to the food service director, letting them know you are interested in helping and whom should you contact (once all the above is done) would be nice as well. GEORGEANNE - They can go to the district website, see the menus that are posted there. They can eat at any school – usually prior request is needed from the principal or food service director – and see for themselves what is being served. Is there a common step we can take as parents, or as a community, to help the school lunch programs to incorporate more local foods into their meal plans? ANN - Get involved and become knowledgeable about the constraints the food service operates within, which are considerable. Understand what food service has made in terms of changes and has in terms of plans for future changes. Work with a group to create support for the food service director making changes – sometimes this means getting the board of education to say they are supportive of changes. GEORGEANNE - Find out what is being served, meet the school food service director and ask how you or your community group might help. Find out what he or she needs, but do not be adversarial. In my experience, all the hard-working food service staff wants to do is provide good, tasty meals, but they are frequently hamstrung by regulations and financing. Try to help, not criticize. Your book Cooking with California Food in K-12 Schools is more than a cookbook - it's also a tested guide for food service professionals. It's quite a resource and it's free for anyone to download online. What are your hopes for this book? ANN - My hope for the book we authored, and that Center for Ecoliteracy produced, is that it be as widely used as possible to inspire change in school lunches. GEORGEANNE - I hope that it will encourage families as well as school districts to cook seasonally, and to discover how good food can be when using fresh, in-season ingredients. Outside of a school lunch program, how can the average family use this book? 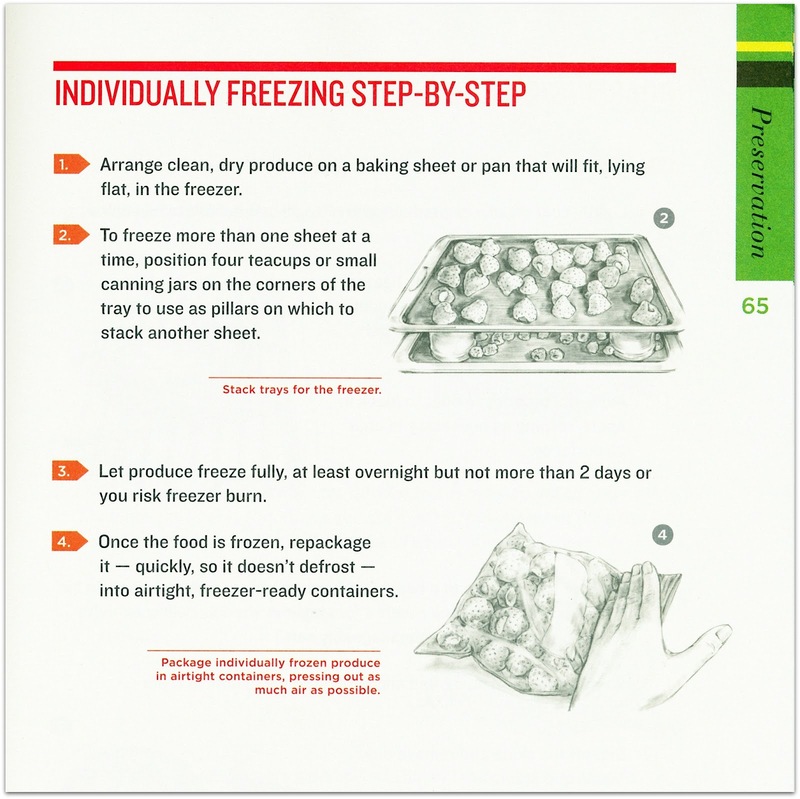 ANN - The recipes are family size, so families might want to cook together from the book. GEORGEANNE - The recipes are family size, so they are easily done at home. By using six different dishes – wraps, pastas, pizzas, soups, salads, and rice bowls – multiple dishes can be created, depending upon season and the different flavor profiles, so once the concept is mastered, people won’t need recipes – they’ll internalize the matrix. You chose 5 ethnic flavor profiles (African, Asian, European/Mediterranean, Latin American, and Middle Eastern/Indian) for your book. Why? ANN - California was built through the ingenuity and labor of many peoples from around the world. When they came here they brought their cuisine – I wanted to both educate and celebrate that fact, and ensure that students were exposed to a variety of foods – as a part of a lunch education. GEORGEANNE - Because they seem to broadly reflect the world’s culture, and by extension, the melting pot culture not only of California, but the United States. How have school lunch programs in California changed in the last 3 years? Where do you think we can be 3-5 years from now? 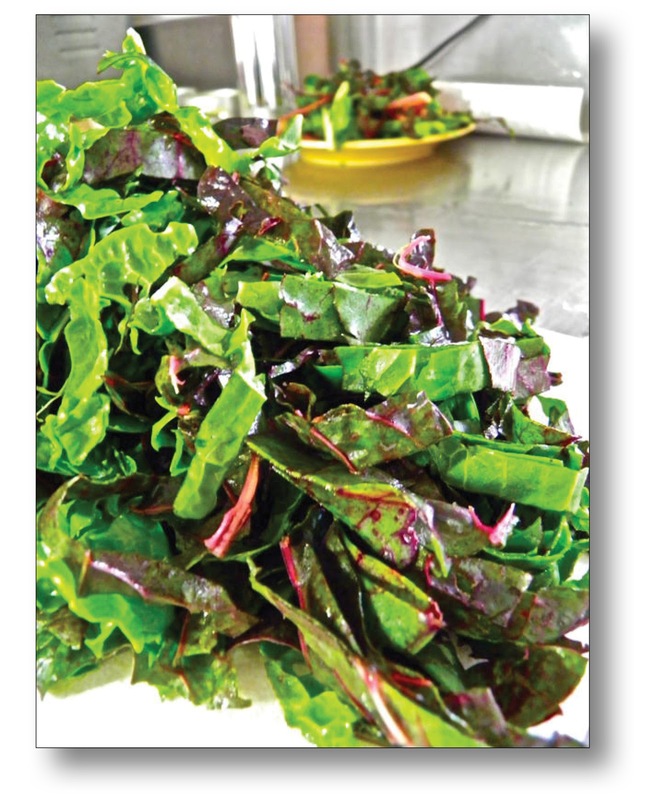 ANN - There is much more awareness now, and I do think that in some cases, fresh fruits and vegetables have moved from the salad bar into other parts of the menu. 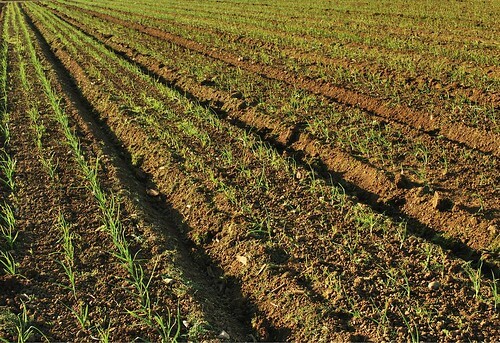 Some districts are purchasing directly from farmers, or getting their produce vendor to tell them where the food is coming from. State and national professional conferences now focus on incorporating more fresh fruits and vegetables on the school lunch plate. GEORGEANNE - Many school district food service directors are moving forward at a rapid pace to change the lunch - from the huge LA District, to the small Winters one. 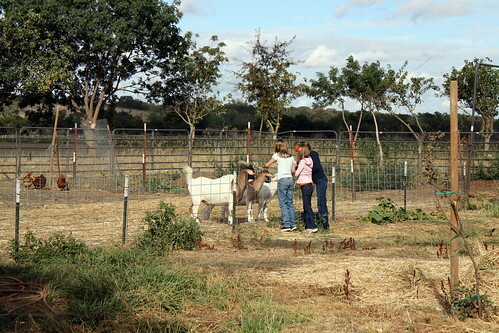 What can parents do at home to help make the connection between farms and food? 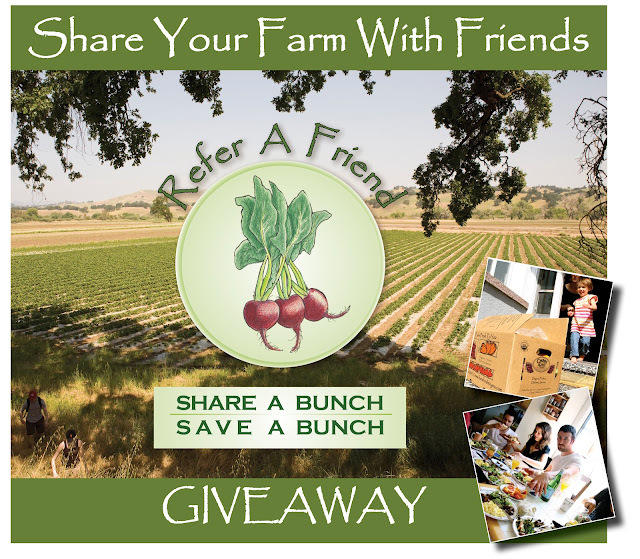 ANN - Join a CSA, eat seasonally, shop at a farmers market as a family and talk about what is offered and why. 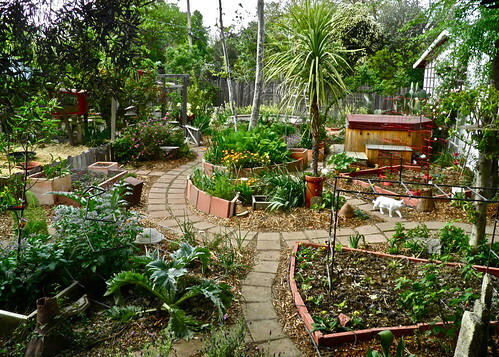 GEORGEANNE - Grow a garden at home with their children. 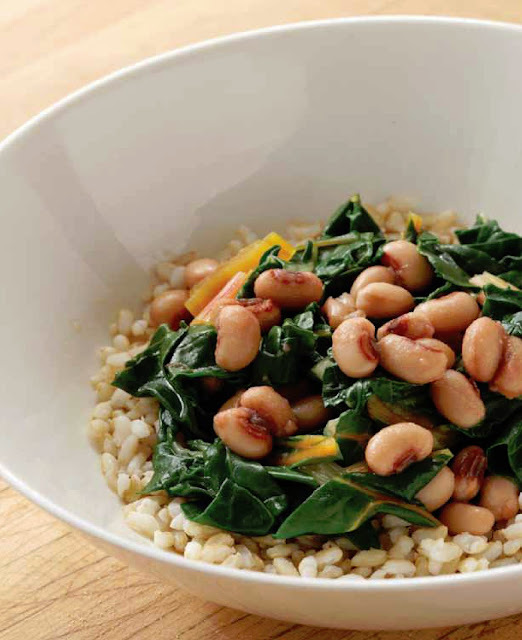 ANN - I love the Black-eyed Peas with Chard as a nod to my southern heritage, and the Curried Potatoes in Chapatti just satisfies a special craving if I’m really hungry, and the Chicken Yassa is a favorite too. Hard to know where to stop, I love them all really. GEORGEANNE - Curried Potato Wrap. Do you have a favorite website or tools you recommend that would help spread the word about healthier eating habits? ANN - Cooking is the best thing I know to help people fall in love with fresh, seasonal food – healthy eating follows from that. GEORGEANNE - Taste, taste, cook and cook. If it tastes good, and children help cook it, they will eat it. Eat real food, just less of it. 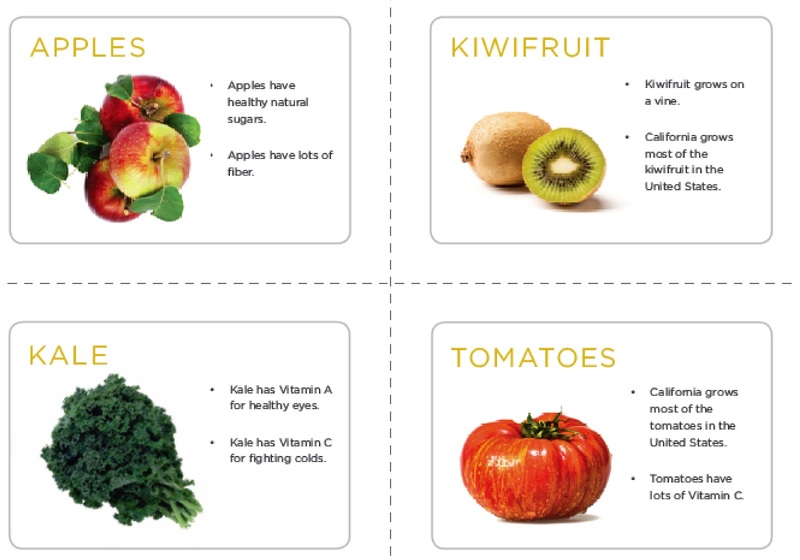 Whole milk, real cheese, lots of vegetables and fruits – so many adults, upon eating a broccoli topped pizza have said, “I hate broccoli, but I like this” – that’s because they’ve usually had frozen, steam table broccoli and who would like that? Thank you Ann and Georgeanne for sharing your school lunch and healthy eating insights as well as your cookbook with us! 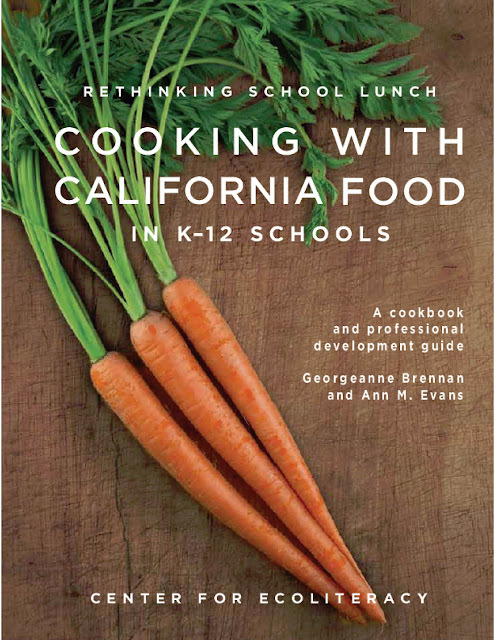 Cooking with California Food in K-12 Schools! Ann M. Evans has a long history of involvement in sustainable food systems, community leadership, educational reform, and the marketplace. She has worked for a decade with Davis Joint Unified School District, bringing her expertise as former mayor of Davis and Special Advisor to the Superintendent of Public Instruction on school gardens and food, to transforming school food. 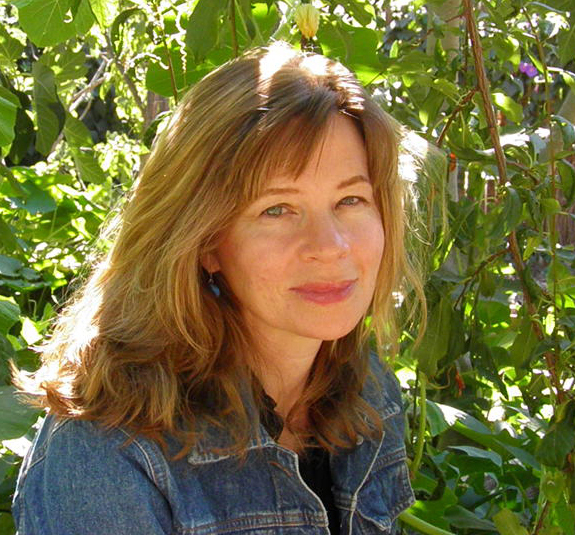 Cofounder of the Davis Food Co-op and the Davis Farmers’ Market, she has a 30-year career with California state government. As a principal of Evans & Brennan, she is working with rural and urban communities to improve children’s health through Rethinking School Lunch. I shoveled about two dozen scoops of fresh, Syrah grapes into the ‘stomping tub’ and stood back, leaning on my shovel and dreaming about cool grapes squishing under bare feet. A half an hour later, dozens of guests were taking off their shoes, rolling up their pants, and living the dream! 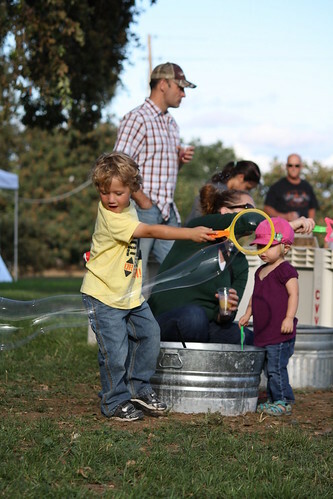 Our First Annual Capay Crush was held on the farm the last Sunday in September, and it was great fun! 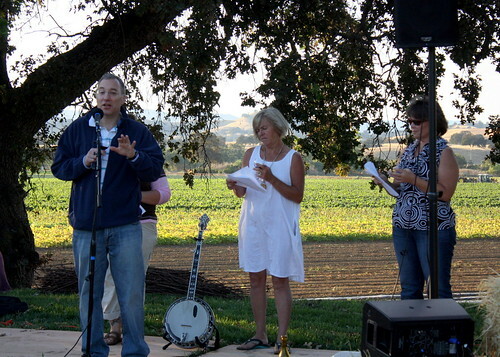 Like our Capay Tomato event in July, our Capay Crush event benefits The Kathleen Barsotti Non-Profit for Sustainable Agriculture, an organization that donates school supplies to farm workers' families and gives scholarships to students studying sustainable agriculture or related fields. Although some mid-day showers threatened to muddy up the afternoon, the sun broke through the rain clouds in time to dry the ground and shine up the Capay Valley into a beautiful, bright backdrop. The Grenache grapes on the vines perked up during the brief rain and looked wonderful in the sun as guests pulled off clusters and ate bunches. All around me people were harvesting grapes by hand, eating grapes by mouth, and crushing grapes by feet! Then there was the wine. 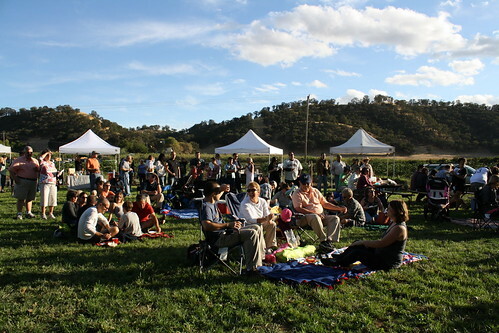 I saw faces concentrated in sipping, swirling, and smelling the many local vintages that six wonderful local wineries brought to Capay Crush to be sampled. Tempranillo, Viognier, Malbec, Zinfindel, Syrah, Chardonnay, Cabernet, and more were poured in glasses, tasted, and scored on tasting sheets all evening long. Fascinating insights into the finer points of wine tasting were presented in our Wine Talk by Dr. David Block of the UC Davis viticulture and enology department. My favorite part: Dr. Block had volunteers come on stage to sample and compare tasting notes to prove the differences in personal preference and taste. 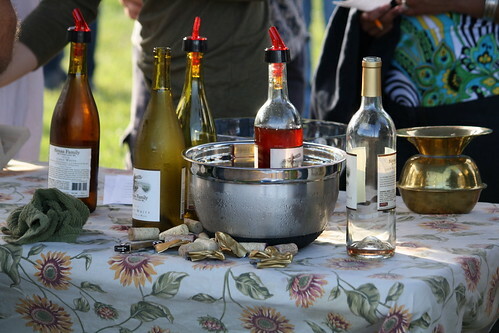 Volunteers used a wine aroma wheel to identify the flavors and smells in their wine – grapefruit, fruity, oaky, spicy were among the responses. The live music was lovely. The tractor rides were picturesque thanks to the morning rain and sun beams. The photo booth activity we had set up couldn’t have had a prettier backdrop as the sun lowered and lengthened the shadows in the hills that flank the valley. The sun set over the valley and the event was winding down as folks stopped by the market stand to buy some Capay Organic carrots or tomatoes or figs on their way out. I saw a lot of smiling couples and happy families, but the pleasure was all ours. 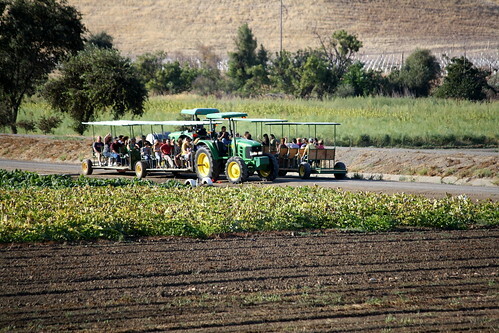 We love having folks out on the farm! Hope to see you at next year's Capay Crush! PHOTOS: View a slideshow of images from our Capay Crush event here. Are you in any of the photos and want to save a copy? Scan through our Photostream here. Find instructions on how to download photos from our Flickr Photostream here. SHARE YOUR CAPAY CRUSH PHOTOS TOO! We can't wait to see your Capay Crush Photos!